This unique nonfiction picture book highlights 14 women who raised their voices and changed the world! Learn about heroes such as Dolores Huerta, Dr. Maya Angelou, Suzan Shown Harjo, Dr. Temple Grandin, and Malala Yousafzai – and hear their inspiring words in their own voices at the touch of a button. See the book trailer and learn more here. American Sign Language makes it easy to communicate with your child, and Nita makes it fun! 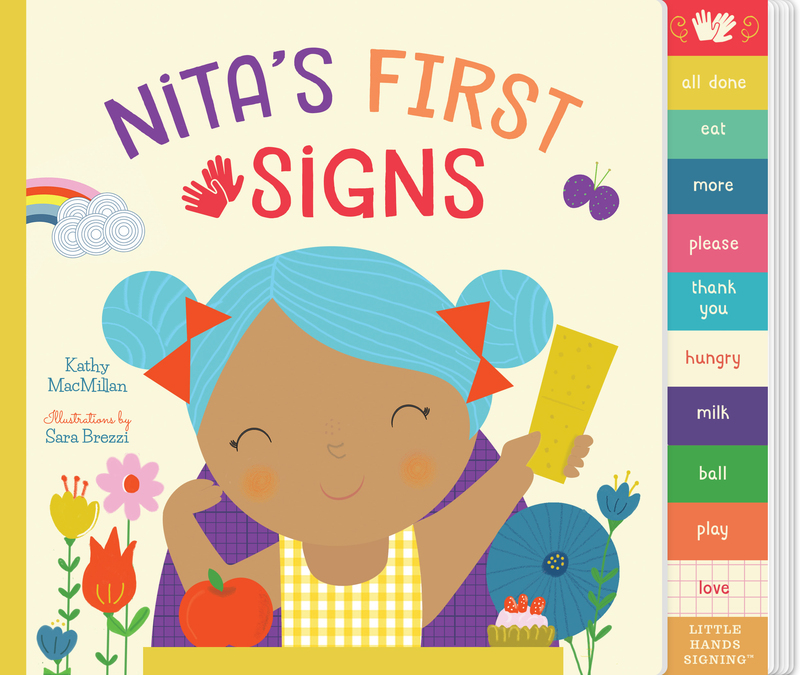 Nita’s First Signs teaches ten essential signs for every parent and child to know, including eat, more, hungry, milk, all done, ball, play, love, please, and thank you. A simple story about Nita and her parents teaches each sign in context, and repetition throughout each story makes them easy to practice. Even better, each page slides open to reveal accurate instructions on how to make each sign, plus tabs on the side of each page make it simple to locate every sign for later reference. Baby sign language collections aren’t complete without Nita!